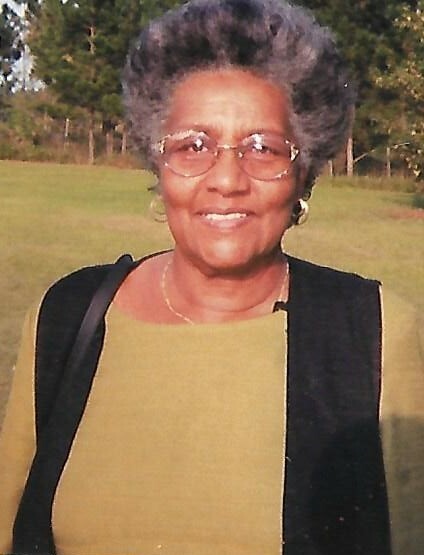 Juanita Watkins James, 86, passed away on the April 11, 2019 at her home in Lake Butler, Florida. She was born on March 18, 1933 in Hugo, Oklahoma (Choctaw County) to Ora Lee (Nunley) Brewer and Barzilla Watkins. Juanita married Curtis James in 1957 in Nevada. They were happily married for 46 years. 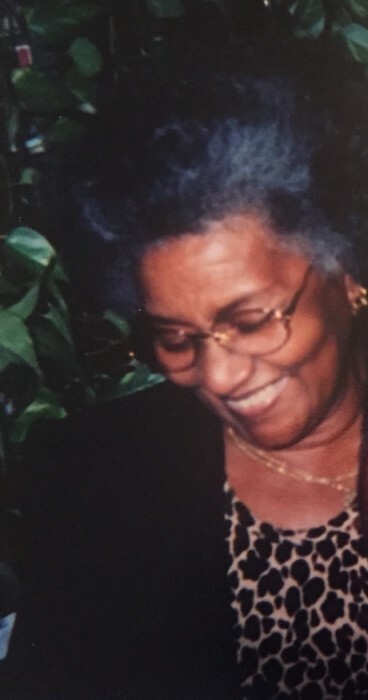 She was a loving wife, mother, grandmother and great-grandmother who enjoyed spending time with her family raising four children and seven grandchildren. Juanita was a member of the Kingdom Hall of Jehovah’s Witnesses in Alachua, Florida. She also enjoyed cooking, game shows, old TV Mysteries, gardening and early morning walks in her yard. She was well known throughout the community as for her love of honey buns, car rides through the country and taking care of the numerous animals she accumulated. 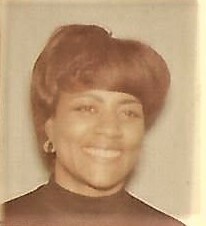 She is preceded in death by her husband Curtis James; brother Eddie L. Watkins; brother Willie L. Watkins; brother Freddie L. Watkins; brother Cornelius Watkins; brother Earl Lee Watkins; sister Ruthie Pearson; sister Henrietta Coleman; sister Eula Mae Watkins; sister Ophelia Watkins; son Alan James. Juanita is survived by her son Steven James of Lake Butler, FL; daughter Brenda (Ira) James-Holmes of Lake Butler, FL; daughter Michelle (Roosevelt) Lee of Lake Butler, FL; grandson Michael James of Lake Butler, FL; grandson Anthony (Destiny) James of Gainesville, FL; granddaughter Denise Morrissette of Lake City, FL; granddaughter Renee Morrissette of Gainesville, FL; grandson Kenneth Morrissette of Lake Butler, FL; granddaughter Kassandra (George) Underwood of Lake City, FL; grandson John James Holmes of Lake Butler, FL; twelve great-grandchildren Anthony James Jr, Victor Valentine Jr., Michael James Jr., Dylan James, Makalya James, Jasmine James, Jessika James, Brooklyn Underwood, Justice Kelly, Olivia Kelly, James Mobley, Kingston Underwood; two brothers Ivory Herrin of Apple Valley, CA and Henry Lee Watkins of Oklahoma City, OK; five sister Marie Mims of Hugo, OK; Betty Roseman of Casper, TX; Rosetta Armstrong of Grand Prairie, TX; Mary Watkins-Berry of Oklahoma City, Ok;Carrie Houston of Oklahoma City, OK; along with a host of extended family and friends. A memorial service for Juanita will be held on Saturday, April 20, at 1:00 pm, at the Kingdom Hall of Jehovah’s Witnesses in Alachua, Florida. There's still time to send flowers to the Memorial Service at the Kingdom Hall of Jehovah’s Witnesses at 1:00 PM on April 20, 2019.